Myofascial neck pain describes a pathological soft tissue syndrome that is caused by muscular or fascial-layer concerns in the upper dorsal anatomy. The neck is not one of the more common areas to experience myofascial pain. However, the condition can be expressed virtually anywhere in the body, since muscles and fascia are widely distributed throughout the human anatomy. For patients who express myofascial pain syndrome in the neck, symptoms are usually mild to moderate, especially when compared to patients who demonstrate these types of pain conditions in larger muscle mass regions, such as in the lower back, buttocks and shoulders. 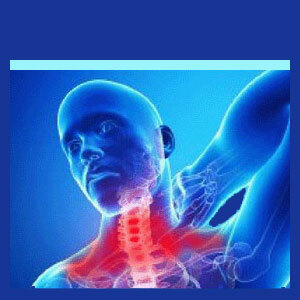 This dialog examines the causes, symptoms and treatments for MPS in the neck. We will also delve into the possible emotional contributors to this hotly debated diagnosis. Myo refers to muscles and in the case of MPS, the muscles can certainly be involved in the painful expression. Trigger points are areas of extreme sensitivity in muscle tissue that cause pain, cramping, contraction or weakness when palpated. Fascial refers to the fascia tissue layer, which is a protective covering that surrounds many muscles and other bodily tissues. This fascial layer might also be involved in the causation of pain, when muscles develop attachments to the fascia or when the entire tissue sheath constricts muscular structures. In essence, when we are defining MPS in this essay, we are focusing on soft tissue pain problems in the neck that involve trigger point mechanisms and/or troublesome fascial/muscular interactions. Repetitive strain injury, RSI, is a popular explanation for chronic MPS. In this instance, recurrent stresses and minor injuries occur in the same place over time, leading to the development of scar tissue and knots in muscles. Facial constrictions and attachments are also plausible consequences of RSI conditions. A single significant acute traumatic injury might scar a muscle or fascial tissue, leading to a myofascial pain syndrome expression. Demonstrating postural problems are theorized to be the underlying cause of many trigger point concerns. Muscle imbalances between unevenly matched pairs are another popular explanation for some cases of MPS throughout the body. Chronic muscle tension and tightness are often linked to the mindbody processes. This psychogenic cause of MPS is perhaps one of the most universal common denominators of many patient case profiles. Internalized stress, repressed feelings and suppressed emotions can all directly lead to chronic muscle discomfort issues. Massage can take many forms and usually involves deep tissue work that might be very painful to endure. Rolfing and myofascial release are both specialty modalities that target MPS conditions. Once again, many patients report good results from these hands-on treatments, while others find the treatment sessions to be far worse than the pain syndrome itself. Pharmaceutical therapy is rampant, since drugs are the easiest and most profitable form of healthcare worldwide. Why should a doctor work too hard, when they can just write a script for some poisonous substance and get paid? While drugs provide mixed results for patients, the negative consequences of ongoing pharmaceutical utilization are universal. Common drugs therapies include pain reducing chemicals, anti-inflammatory agents, muscle relaxants and general sedatives. As is so common in the chronic pain sector, anti-depressant drugs, like Cymbalta, are also commonly prescribed for MPS patients. Physical therapy is the traditional medical answer to MPS. Once again, the use of exercises and stretches is positive in theory, but seemingly illogical for most MPS conditions. Efficacy ranges wildly, with a minority of patients citing real relief and a few patients citing terribly exacerbated symptoms. Most patients fall in the middle range, reporting minor, temporary relief or slight aggravation of pain. Heat therapy is commonly used in many different forms. Heat can be applied at home, using a heating pad or hot wet towel. Heat can also be provided professionally, using ultrasound or shortwave diathermy. Acupuncture and acupressure are complementary methods of pain relief that work well for some patients with MPS conditions. Trigger point injections can utilize long lasting anesthetics, such as Lidocaine, to provide relief, or might entail injecting anti-inflammatory steroid substances in painful muscular regions. Some patients have successfully employed prolotherapy injections or dry-needling, where the trigger point is subjected to a series of minimally invasive punctures in the hope of breaking-up scar tissue or problematic tissue attachments. Psychological therapies usually tend to be mentioned in passing and generally revolve around meditation, biofeedback and fostering an attitude of relaxation. While useful, these applications are limited in their efficacy. More intensive psychoemotional approaches, such as knowledge therapy, have been more successful in undermining the pathological mindbody processes that enact some cases of MPS. In fact, several patients have written to us reporting complete resolution of myofascial neck pain using this introspective psychological method of care.